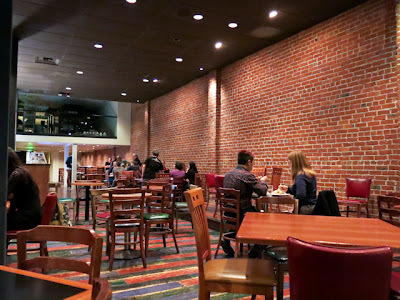 The San Jose Blog: Cafe Stritch Now Open in SoFA! Cafe Stritch Now Open in SoFA! 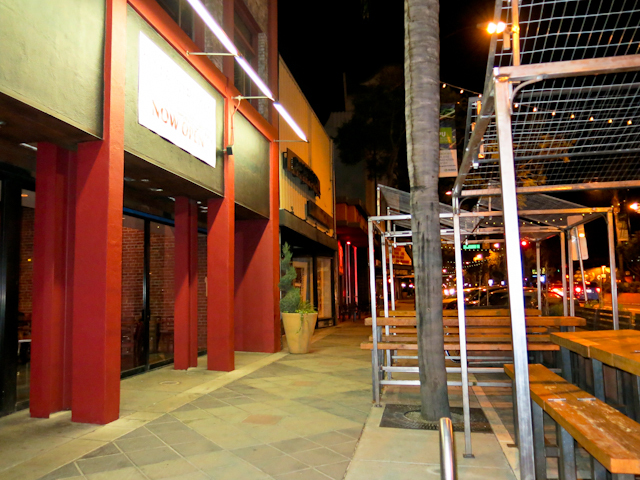 2013 is going to be the best year for new restaurants that Downtown San Jose has ever seen. I'm going to go out on a limb (as usual) and say that by the end of the year the type of scene and energy that you can now find at the San Pedro Square Market will also be available in other parts of Downtown. SoFA's new restaurant anchor--Cafe Stritch--officially opened over the weekend. It's operated by the next generation of the Borkenhagen family, which ran Eulipia for decades. 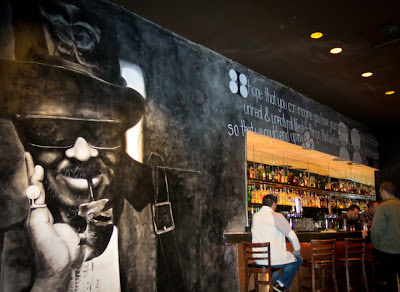 The ambiance is hip, modern, and artsy, with a jazz-club vibe (somewhat ironic since Eulipia was a jazz club at one point). The food and staff are excellent, there's a great bar, the outdoor seating setup is one of the most impressive I've seen Downtown, oh yeah... and everything on the menu is under $10. The fare is essentially modern American comfort food served tapas-style. Over the weekend I tried the chicken & waffles, mac & cheese, fries, tomato bisque with a grilled cheese sandwich, and the vegan french dip which was my favorite. That last one was surprisingly excellent for a vegan entree and you have to try it even if you're not vegan! Picture vegetable tempura inside of a crisp baguette with a great dipping sauce. The total bill for food that would easily have fed 3-4 people... $30. Second floor where they will eventually build some sort of lounge area with couches. I can see this place improving the vibe of the entire SoFA district. This is another epic addition to Downtown San Jose and I'm thrilled with how this turned out! Let's hope this is the start of the SoFA's revitalization! Awesome. I already love the SoFA. I'd be great to have the same level of energy in the SoFA as the remarkably-successful SPSM. Isn't downtown vibrant? I love the fact that we have Downtown Denver here! Anyone else go to this place and think it was sorta... not clean... just "off"? Not impressed really. Yes, I did. I stuck my neck in and left because of the weird vibe. Still, it's gotten such nice reviews on yelp I might give it a try. Now that it's been open for two years, it's clear that Cafe Stitch is the best place in downtown San Jose. Fantastic, inexpensive food, amazing musical acts, and a really diverse crowd all the time. 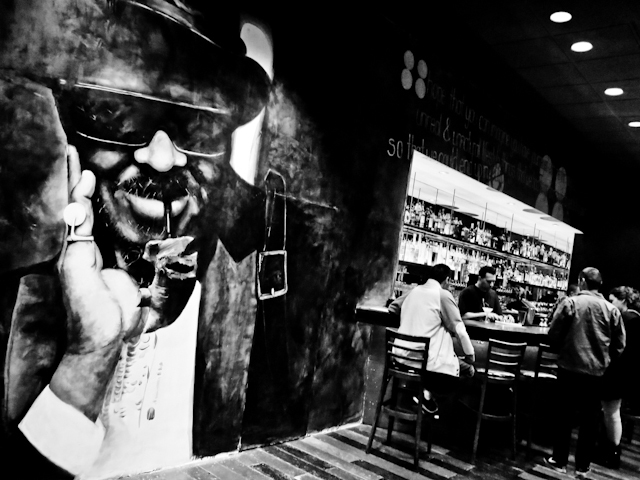 Their Sunday night Jazz Jam sessions are the best thing you can do in San Jose on a Sunday, by far. 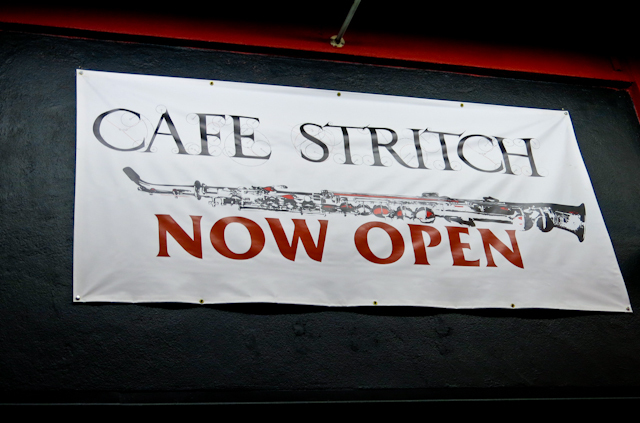 All hail Cafe Stritch!